This post is about a little bit of stranded knitting; not about being stranded a little bit. I have done some travelling the last few weeks, first to South Africa for a whirlwind trip (where it was hot and sunny) and then to Copenhagen to visit a friend (in the cold and grey). I haven’t been willing to drag around a big knitting project, so decided to cast on something small. For a long time, I have been admiring the pattern, Offbeat, by Anna Elliott. The pattern is for a hat and mitts, but it is the mitts which drew my attention. 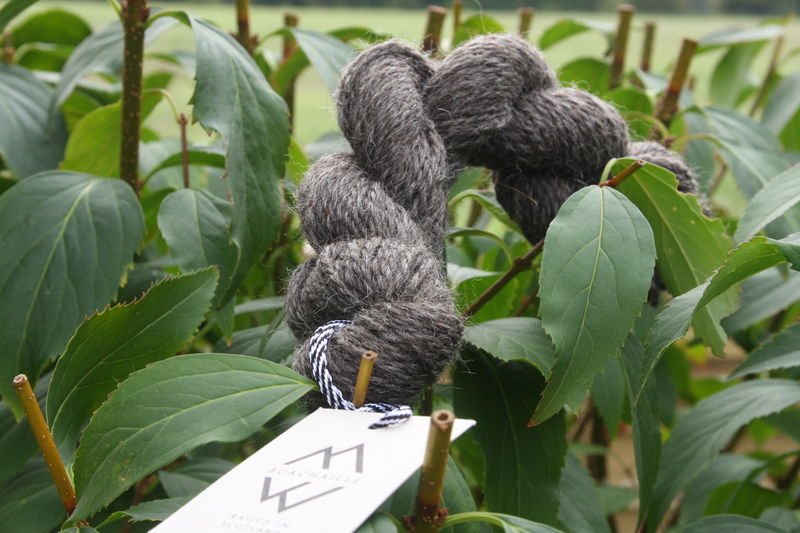 To make them, I would need a skein each of two colours of sportweight yarn. I have six skeins of Kate Davies’ sportweight yarn, Buachaille, lying around the house taunting me. In my mind, they were relegated to three sets of two skeins, for three different projects. The green and white (yaffle and ptarmigan) were purchased some time ago to make Kate’s Funyin hat. The two grey shades (squall and haar) have been waiting for a good pattern or idea (presumably a pair of mitts), and the teal and rust (islay and highland coo) are left-overs from the Seven Skeins club, and I figured were destined to be used together, perhaps in a hat such as Phos. Just before hopping on the plane to Johannesburg, I dragged them all out and Doug and I spent a few minutes trying out all of the different colour options and determined that we liked the Islay and Haar combo the best for this pattern. Many people find that they tend to pull the yarn too tightly across the back when knitting stranded; this causes the fabric to pucker. I have never felt the need to do this as I tend not to pull the floats too tightly. However, I realised that while this is so when I am knitting a garment on a circular needle, it didn’t carry over to my knitting with DPNs. As you can see from the below photo, my knitting didn’t pucker generally when switching colours, but it did pucker at the point where the two needles crossed. I often see the advice to avoid this problem by knitting the item inside out (the right side of the fabric will be on the inside of the tube formed by knitting in the round, thus the yarn being carried will need to stretch further around). I ended up ripping out the patterned bit above and starting over, knitting the stranded pattern section inside out. Let me say that this was not an intuitively simple process. In fact, I spent three hours in an airport lounge painfully knitting a mere 27 rounds in this way. I am sure that I looked like a rote beginner, with extremely awkward hand positioning and yarn tensioning. Perhaps I should have avoided the wine bar. I had hope that a good blocking would fix everything (as is so often the case). This mitt looked so uneven and wonky and sad. I wanted to block it on a tube but had trouble finding something of the appropriate width. I finally found a plastic bottle of mouthwash with an 8″ diameter, and I soaked the finished mitt and then stretched it over the bottle. This worked well since the top of the bottle is narrower, so I could avoid stretching out the ribbing. I balanced the whole thing on a little pot of face cream with the right dimensions, and put it on the windowsill to dry. The fabric of the Buachaille is so lovely and soft and sheep-y, I cannot stop cuddling it. All that is left is to knit the other one! I am now back in England and we had a beautiful hour or two of sun this afternoon (!) in which to take some photos of my new mitts. These are the mitts which I was knitting last week while in South Africa communing with elephants. This is the pattern Wedgewood Mitts, designed by me. 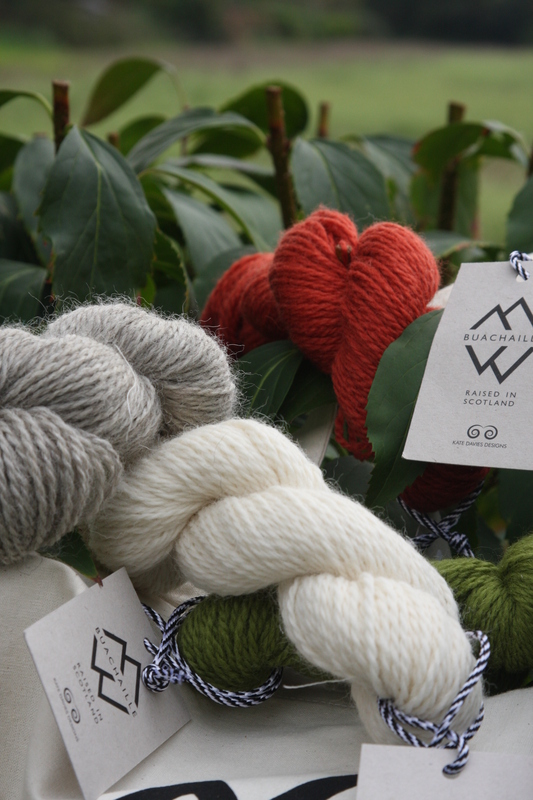 I designed them to play around with a lovely shipment of Kate Davies’ new yarn, Buachaille. The original pair, made for Leah, was in a very pretty mid-blue with white edging. Just before leaving for Johannesburg, I tossed a skein of this lovely spring green, called Yaffle, and the remaining white from the first pair of mitts, into my suitcase. Basically, this added 4 stitches just to the cuff, to make the cuff a tiny bit more roomy. I also made the cuff portion of the mitt slightly longer, while making the finger portion of the mitt slightly shorter. I absolutely love this design, which was inspired by a collection of Hornsea pottery designed by John Clappison in the 1960s; go read Kate’s post here. Sadly, I cannot be at the festivities in Edinburgh this weekend, but I did try to alleviate my misery by ordering a kit to make this hat! Just think how pretty it will look with the mitts. The good news is that I managed to join Kate Davies Seven Skeins club. 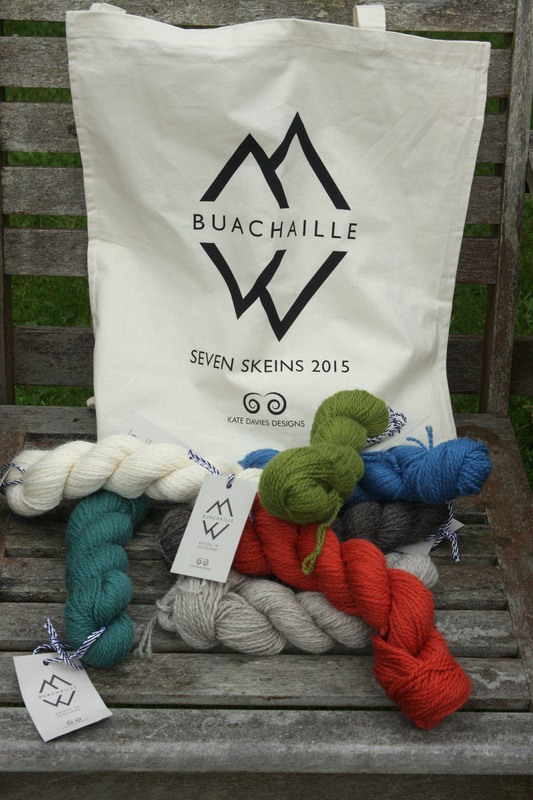 This means that I have just received seven skeins (one in every colour) of her new yarn, Buachaille. 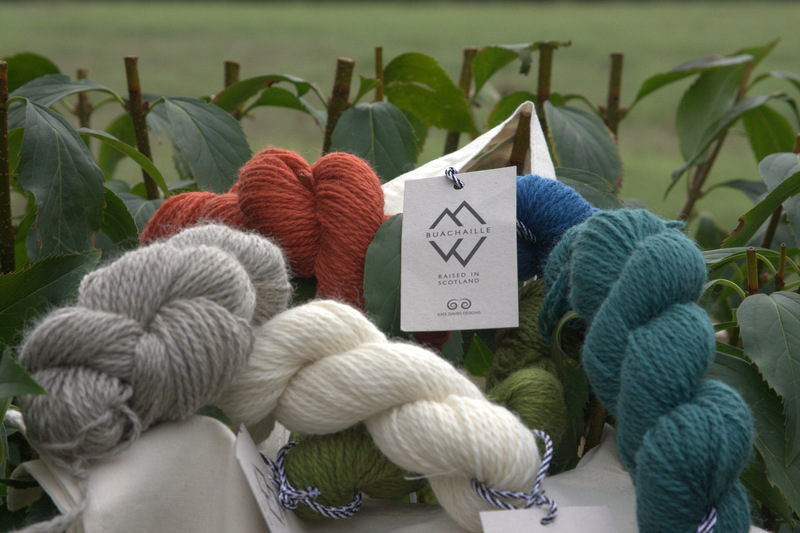 The membership comes with the seven skeins, seven knitting patterns (to be delivered over seven consecutive weeks), a tote bag and a book produced by Kate. I have her other books and love them to pieces, so this seemed like a good deal. There was a mad dash online to buy a membership; I waited until the frenzy died down and then managed to snare one without any troubles. Isn’t the yarn pretty? So very “squooshy”, too. This bad news is especially bad because I had just agreed to do a test knit for Jutta von Hinterm Stein. I am hoping that I will be able to get back to knitting this week, but if not, I will have to pull out of the test knit. This is so sad that I think we need more photos of pretty yarn, don’t you? It’s very sad to go two weeks without knitting. I’m off to drown my sorrows with a glass of wine and, perhaps, some yarn fondling….